Grand Canyon Unit Study - Look! We're Learning! Actually, I’d love to take them one day, but for now we’ll have to “see” it by learning about it! Since I’ve never visited this natural wonder myself, I was amazed to learn more about it: how large it is, how it was formed, and what kinds of animals live there. We collected some of the best resources we’ve found into this Grand Canyon unit study! I hope you and your kids love it as much as we did! If you enjoy this, check out some of our other homeschool unit studies! 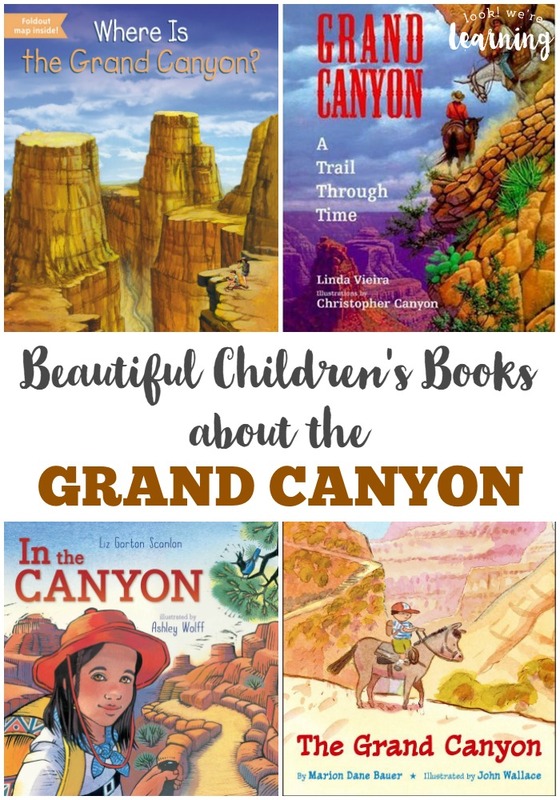 Read about the Grand Canyon with these lovely children’s books! 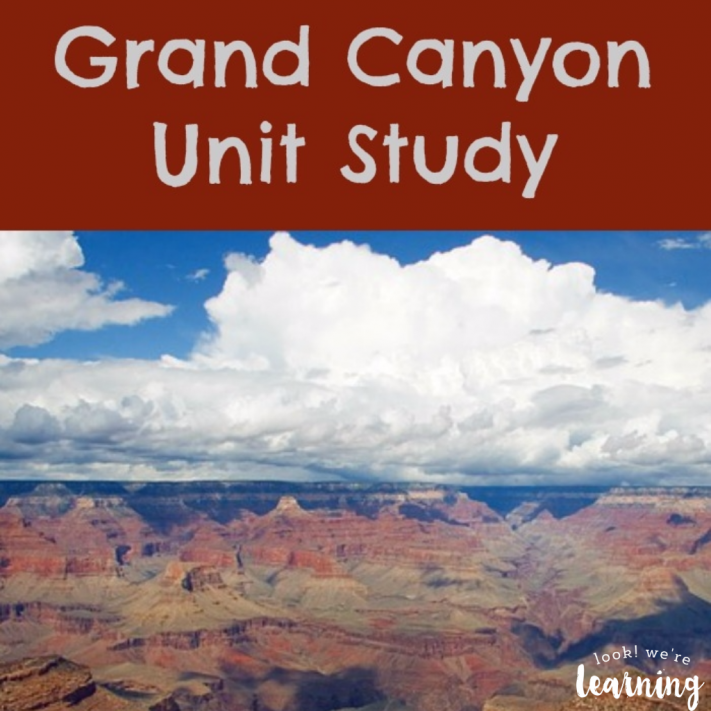 Try these printables and activities to turn this Grand Canyon unit study into a hands-on lesson! Did you love these resources? 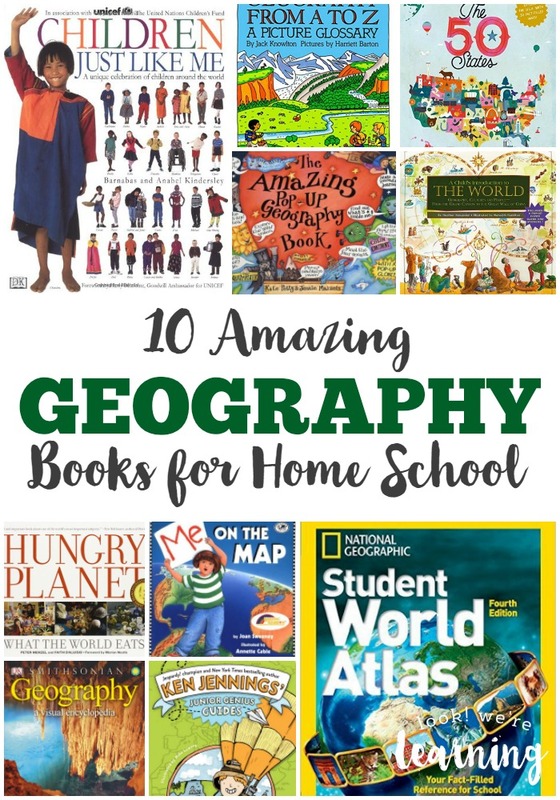 We’ve put more together at Year Round Homeschooling, which is perfect if you’re planning a Grand Canyon unit soon! 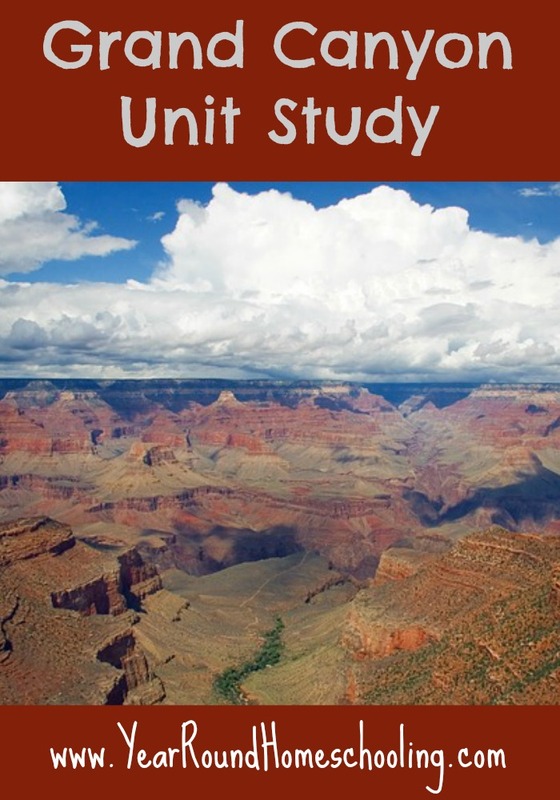 Stop over at Year Round Homeschooling to read our Grand Canyon Unit Study! 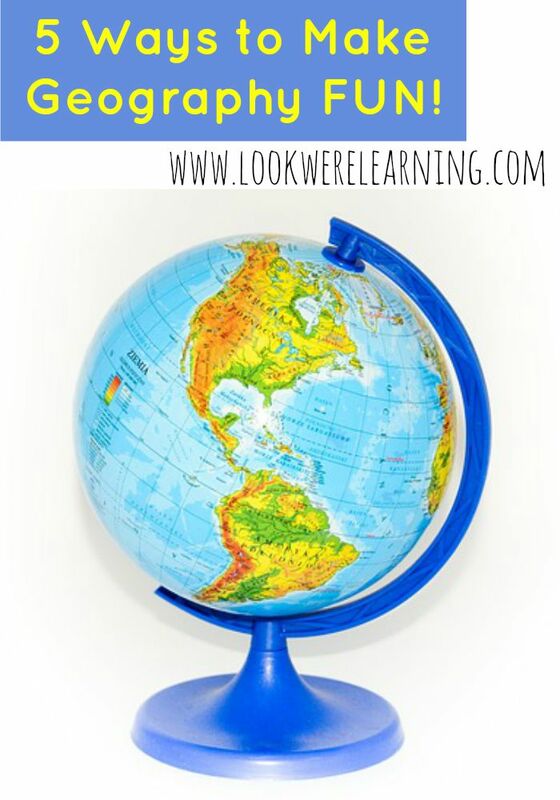 Don’t miss these other geography learning ideas! 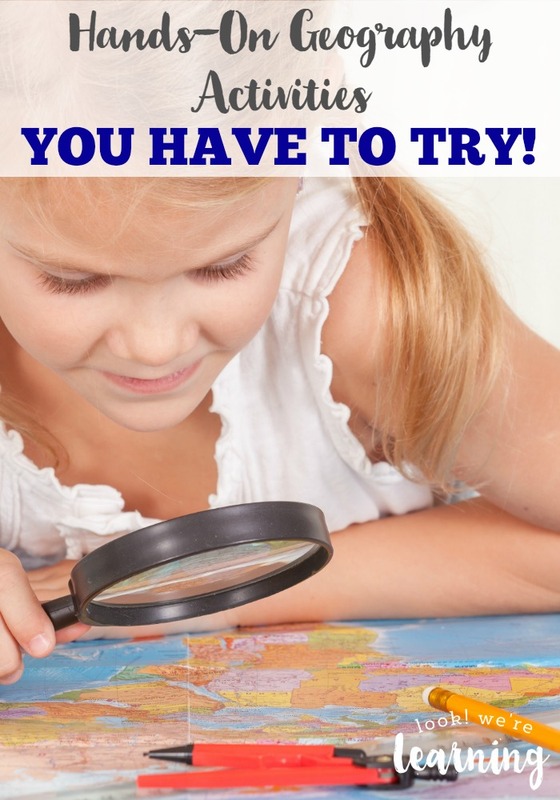 Get more tips for teaching geography on my Geography for Homeschoolers Pinterest board! Thanks for featuring our gross motor equipment post!